By Brian Hoey. Nov 24, 2016. 9:00 AM. The Puritans who settled New England were, for their part, a bookish lot. A component of their schismatic position regarding the church derived from the fact that they believed that the Bible ought to be translated into (and read in) the vernacular. So, one would expect them on the whole to be a group of thorough readers. As a result of these tendencies, in its era, colonial New England boasted the highest rate of book ownership in the world. 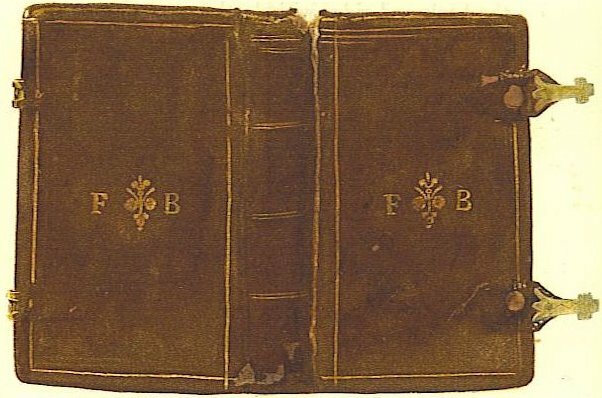 Thus began the history of book ownership in the American colonies. And while in the early days of the settlement most books had to be imported from London, it was not long before America’s first printing press was established in Cambridge, Massachusetts. In 1638, Rev. Jose Glover and his family sailed for the United States with the express purpose of running a printing press at the newly-opened Harvard University. Though the Reverend would not survive the voyage across the Atlantic, Mrs. Glover went on to produce the New World’s first books in 1640: a broadside of the The Freeman's Oath (based on a document that actually dates back to 1631), a short almanac for 1639, and the Bay Psalm Book, a 300 page grouping of religious music that, despite being riddled with errors and featuring only lyrics with no sheet music, became rather widespread. They printed 1,700 copies, of which around 11 tattered texts remain. When Mrs. Glover passed away, she left the press to Samuel Green, who printed the first Algonquin translation of the Bible. While no regions bested New England, book ownership was not uncommon elsewhere in the thirteen colonies. Some studies suggest that as many 60 percent of households owned at least one book. In Maryland between 1656 and 1719, younger homeowners were more likely to own books than pictures or curtains. Interestingly, the rates of Bible ownership were often much lower than those of book ownership across the country during roughly that period. It is likely, however, that households that didn’t own Bibles still mostly owned various sorts of religious literature, though it’s not inconceivable the occasional early novel, Pilgrim’s Progress (1678) for instance, could have worked its way into some small personal libraries. 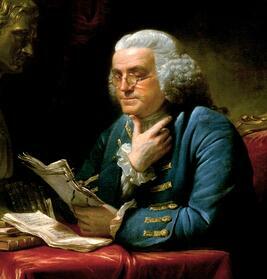 Benjamin Franklin’s personal library, for instance, would have contained Bunyan’s work, along with works by Plutarch, Defoe, and George Berkeley. In addition to aiding with Franklin’s library endeavor, James Logan had what was probably the most impressive personal library in the colonies, clocking in (at the time of his death) just shy of 4,000 volumes. And while Logan’s library (or, as he called it, The Loganian Library) dwarfed those of most settlers in size, it’s breadth can likely give some insight into the reading and book-buying habits of the colonists at large. No one would have purchased and read the same number, but the books he had access to give us some clues as to what other colonists would have been interested in and potentially owned. And of course, much of what he owned would be familiar to us. He had works by Chaucer and Shakespeare, as well as Homer and Dante (the former in a variety of languages). Books in Greek and Latin were represented, including works by Cicero, as well as more technical tracts by Archimedes and Pappus of Alexandria. He even famously debunked someone’s claim that the 1538 Greek edition of Ptolemy’s Almagest (c. 150) was the earliest in existence, finding one in London that predated it by more than 20 years. The classics, however, actually made up a relatively small percentage of Logan’s collection. Most of what he owned had been published recently in the 17th century, and the topics covered by his books ranged from history and geography to mechanical arts to ‘magick’. This, perhaps, is the most telling detail of all with regard to early American book ownership. Shortly after colonization, through commerce with London and a booming colonial printing trade, early settlers would have had access to and purchased a tremendous variety of books, reflecting, one imagines, the tremendous diversity of the group of people engaged in shaping the earliest inklings of the American project.